June has arrived, bringing with it the official beginning of the summer. This means sunshine, long evenings and garden parties (yey!). If you’re fortunate enough to have been born at this time of year then it’s your time to celebrate. What better way express yourself than to adorn yourself with your birthstone? And lucky you, you get to choose between two beautiful stones- Pearl and Moonstone. 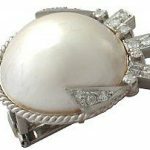 Pearl and moonstone have both been considered traditional birthstones for the month of June since the turn of the 20th century. They have been used to celebrate those born at the start of summertime from as far back the Mani Mala- a Hindu text from 1879- which stated that pearl belonged to those born in June. pearl necklaces, or the classic pearl stud earrings. 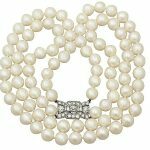 We are absolutely thrilled to be able to offer our customers this natural saltwater pearl necklace- an incredibly rare piece. The exceptional quality of these pearls demonstrates the majesty of the process through which they naturally occur. We are thrilled to be able to provide our clientele the opportunity to purchase this stunning piece. Pearls are not just for fans of antique and vintage jewellery though, much of our pearl jewellery fits in perfectly with contemporary styles. The pearl’s classic and timeless aesthetic is rivaled only by that of the diamond. Moonstone- a stone which has been regarded for its beauty fro centuries- is the second birthstone for June. Moonstones were admired by early civilisations including the ancient Romans, who believed that it contained real rays of moonlight. The opalescent, opaque quality of the stones is beautifully understated while maintaining the exclusivity of a rarely considered stone. If you’re looking for the perfect present for someone born in June then a piece of moonstone jewellery would be an excellent choice. It is a very subtle yet luxurious gemstone. At AC Silver we have some stunning moonstone necklaces; they are classic pieces, yet they also fit in wonderfully with contemporary dressing. 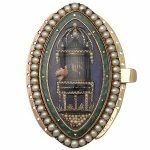 Pearl and moonstone are both alluring gemstones that have been intriguing fans of jewellery and gems for centuries. Both make a wonderful and thoughtful gift for anyone with a June birthday- whether you want to give a personal gift with a subtle nod to the birthstone, or you want to go all out and adorn your loved one in pearls or moonstones, that’s up to you! If you do decide to purchase an item involving either of these stones (whether as a gift or for yourself), be aware that they are both relatively soft stones. This means that you’ll have to take a little extra care when it comes to cleaning on storing them: they need to be cleaned with a soft cloth, kept away from chemicals (such as perfume) and be protected from extreme temperatures. It is also best to store them in a soft cloth. The same care could be given to moonstone, although they are slightly more resilient. You can clean your moonstones with soapy water and a very soft toothbrush. 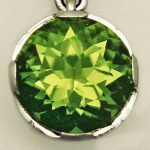 Now that you know how best to care for your gorgeous gems feel free to go ahead and browse are selection- we hope you find something you love! 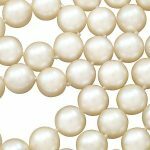 I am new here on your website and read this article about pearls. Pearl is the most beautiful stone you can ever get. Yes its known as moonstone as well because in Indian Astrology it has directly connection with the moon. Its a beautiful stone to wear as ring, as earrings or in necklace, it always goes perfect. Very nice post, I certainly love this website. Previous Entry: The Sword Symbol – What Does It Mean For You? Next Entry: What is a Kovsh?